Warwickshire Police is treating recent reports of anti-Muslim letters 'extremely seriously'. Over the past week there have been a number of reports of letters featuring anti-Muslim messages being sent to people across the UK. A spokesperson said: "These letters have been widely discussed in the news and on social media, and we know that many members of our communities may be concerned. "Warwickshire Police are treating this matter extremely seriously. Please contact us by phoning 101 if you've received a malicious communication like this, or if you have information about the person or people responsible. 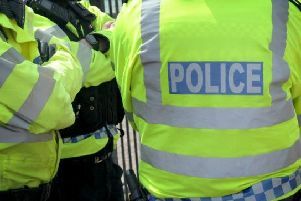 "The investigation into these incidents is currently being co-ordinated by the North East Counter Terrorism Unit (NECTU), working closely with police across the UK. Communities around our policing area may see extra patrols in their neighbourhoods, as our officers seek to provide extra reassurance." Chief superintendent Alex Franklin-Smith of Warwickshire Police said: "Tackling hate crime, no matter at whom it is targeted, is a priority for us and we seek to engage closely with members of those communities affected. "We know that on a national and local level hate crimes are underreported. We are committed to ensuring all victims - no matter what religion, culture, or ethnicity they identify with - have the confidence to come forward and report any incidents or crimes. "Those who commit hate crimes target people simply because of who they are. Often, the victims of hate crime are some of the most vulnerable members of our society and the impact can have a serious impact on both the individual and the wider community. "We guarantee we will carry out a thorough investigation into every reported hate crime. We will also ensure safeguarding is in place to look after victims. "Hate crime in any form will not be tolerated by Warwickshire Police." Jatinder Birdi, Chair of our Strategic Independent Advisory Groups, said: "The current climate is very concerning for many people, and we all need to stay vigilant and report any incidents to the police. Hate crime of any description is not acceptable in our community." For more information about hate crime, visit www.warwickshire.police.uk/hate-crime. · In an emergency - if the incident is in progress - phone 999. · For non-emergencies phone 101. · Report online at www.report-it.org.uk. · Report Islamophobic hate crime online to Tell MAMA (Measuring Anti Muslim Attacks) at tellmamauk.org. · Talk to a trusted friend, family member, support worker, social worker or teacher.